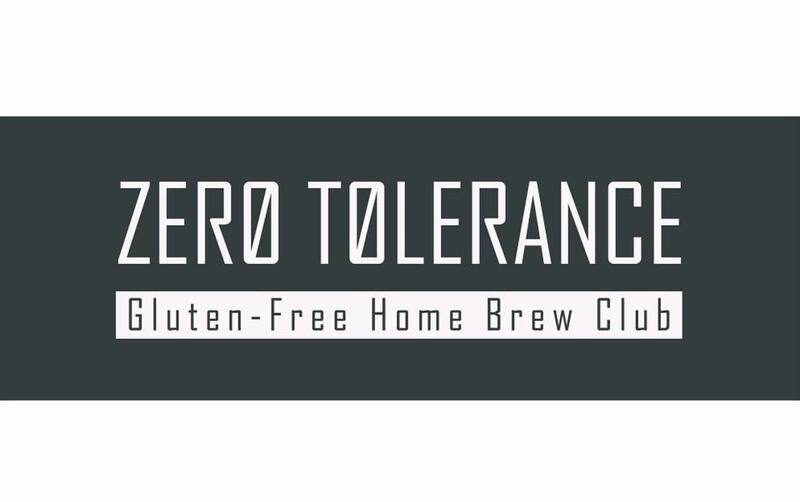 We have a lot of interest from first time homebrewers on the Zero Tolerance Facebook page and I think we could do more to help folks get their feet wet. The Zero Tolerance discussion topics can get a little heady with discussion of malting, mashing and the bleeding edge of GF brewing. But considering we have doubled the size of the club since HomebrewCon 2018, I feel it is time to take a step back and cover some of the ground that might have been missed before the club really took off. 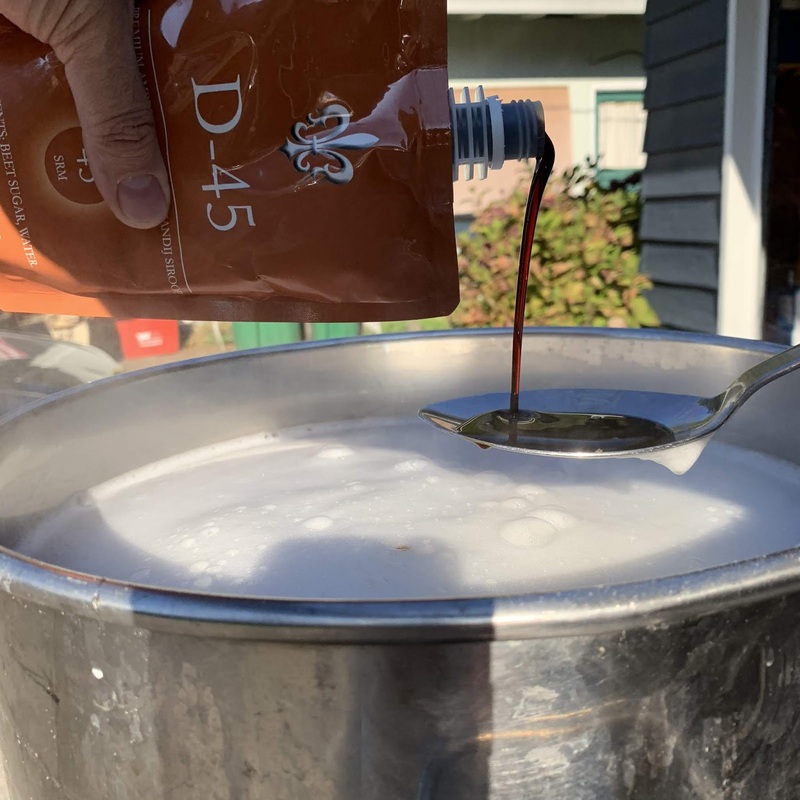 The October meeting (GF: 101) will be focused on getting first time brewers up to speed on what it takes to create a delicious extract beer at home. I picked a clone recipe of a very popular and widely-distributed commercial beer (Ghostfish Grapefruit IPA) to get us started. This should allow interested parties to taste the beer beforehand, to decide if they like it enough to brew. And if brewers do decide to try this recipe, it's fun to taste side-by-side with your home creation. Wort (German, pronounce Vert. English speakers say Wert) - This is your unfermented beer. From the moment you add your fermentables to the water, it is called wort. It remains wort until you add your yeast. At which point you have beer. 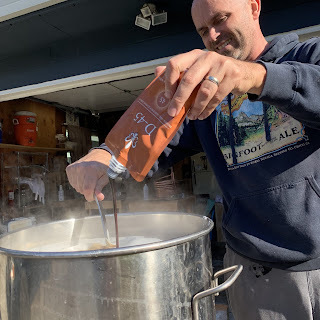 Brewing - When I talk about brewing, I am talking about the processes we are doing on our brew day. That's primarily the wort-making activity. Fermenting - There is an age old saying that brewers make wort, but yeast makes beer. That's what I am saying when I talk about the fermentation process. Once the yeast is in the beer, we are handing the process off to the yeast. Pitching - Adding yeast to the beer. Sounds cooler. Hot Side - Anything that takes place before, during, or after boiling...but before chilling. This is the safe zone where sanitation doesn't matter. Cold Side - Anything that the beer touches after chilling below boiling needs to be clean and sanitized. This cannot be stressed enough. Sanitation. Sanitation. Sanitation. This is an extract recipe. This means we will not be mashing or sparging, or even steeping any gluten-free grains to make this beer. Insofar as equipment, you will need relatively little. 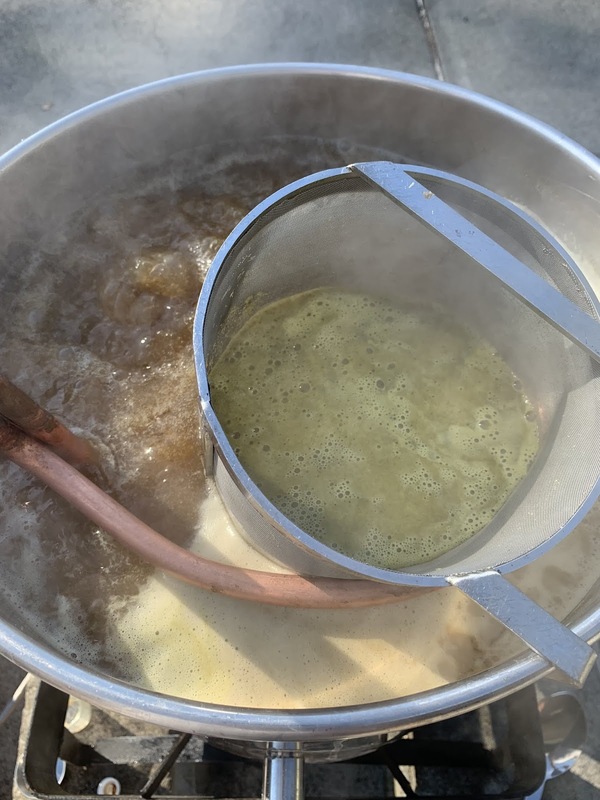 If you do this, you will need to boil a concentrated wort and dilute with pre-boiled water. Burner capable of boiling your chosen volume. You may be able to use you stovetop if you use gas. Electric burners have trouble boiling this much liquid. A food grade, airtight bucket. Cleaning and sanitizing are different processes. You can't use one without the other. Containers for packaging - Either bottles with caps, swingtop bottles or a keg setup. Most people start with bottles just because of the kegging investment. Something like this helps get most of the necessary items: Morebeer Deluxe Homebrew Kit. Your local homebrew store probably has something similar. These come in many varied, and often hilarious, shapes and sizes. But the idea here is to have a heat exchanger capable of lowering the temperature of your wort. Filtering chlorine from your brewing water can help reduce undesirable "band-aid" like off flavors. We want to ferment this beer in the range of 65-72f. There are a number of ways to do this. Controlled fermentations make the cleanest-tasting beer. You can use an old fridge with a thermostat, a bucket of cool water with a t-shirt, or even just a nice, consistently cool space like a closet. Fermentation is "exothermic" that is, it generates its own heat. We are fighting a battle of restraining the temperature during active fermentation, then raising the temp at the tail end, to prevent it the yeast from crashing out prematurely. This part is challenging and you will make mistakes. That's ok.
Hops get everywhere. And that's fine except when they travel from the boil kettle into the fermenter. You can use something like muslin bags or a mesh strainer to separate the kettle hops from the wort. Otherwise, it's going into the fermenter to be a royal pain. Starting with clean water, free of chlorine gets you off to a great start. So this pretty much covers what you will need to convert your ingredients into beer. Now let's talk about those ingredients. The point of this beer is to be quick, simple to brew and enjoyable to drink. IPA is the most popular "craft" style and a good year-round crowd pleaser. Cloning something commercial gives a nice baseline for comparison. It's great to be able to hold your beer next to a measuring stick and see how you're doing...And this particular stick is a two-time GABF medal winner. Sorghum syrup and brown rice syrup are the most readily-available GF fermentables so we will be working with them. You can source these things from your local homebrew store or Morebeer. Gluten Free Homebrewing carries sorghum and a lot of health food stores have brown rice syrup. The knock on sorghum is, was, and always will be its metallic twang. That twang is notorious and is usually the first thing that stands out to a traditional beer drinker. We will take some steps to try to work around it. But if you brew with sorghum, expect to have to address the twang. The citrus flavor of our hops, along with the grapefruit zest really help with the sorghum twang. Rather than downplay the twang, grapefruit uses it as a springboard. We are attempting to turn our greatest detriment into an attribute. The Experimental Grapefruit hops in this recipe are hard to find. As far as I know, the are exclusive to Yakima Valley Hops. But Ghostfish uses them in the commercial version (according to their product info) and YVH is great to deal with, so I recommend seeking them out. Possible substitutions could be Citra, Amarillo, or a combination of the two. This will help reduce any protein haze in the beer, making it more clear. Sorghum and Brown Rice Syrup are low in the necessary nutrients for healthy fermentation adding nutrient will aid your fermentation. Stick with dry yeast cultures. 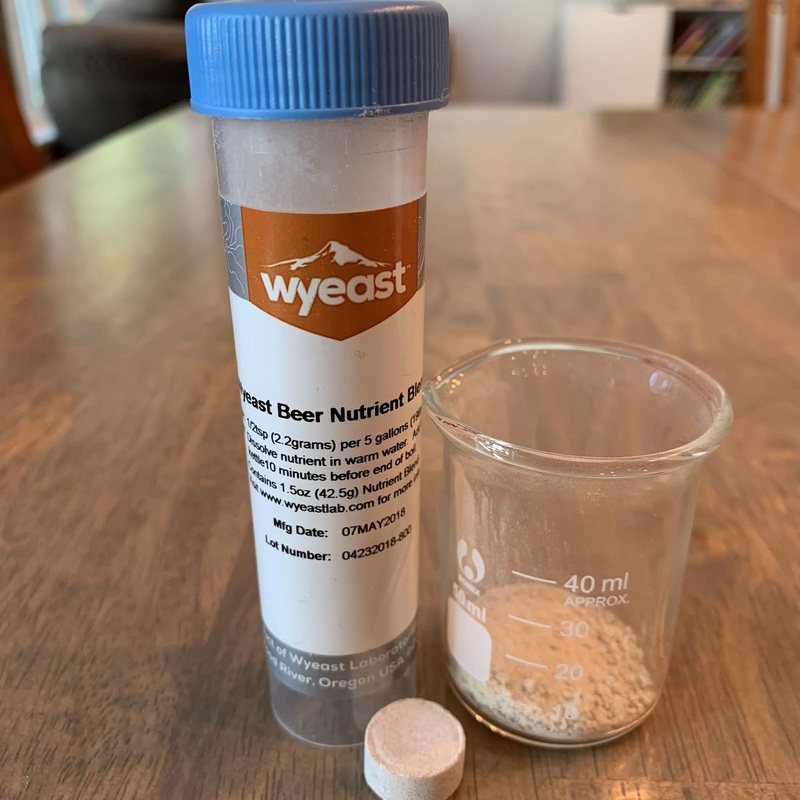 Liquid yeast cultures from Wyeast, White Labs and even Imperial Yeast are grown on barley malt and contain barley in the package. 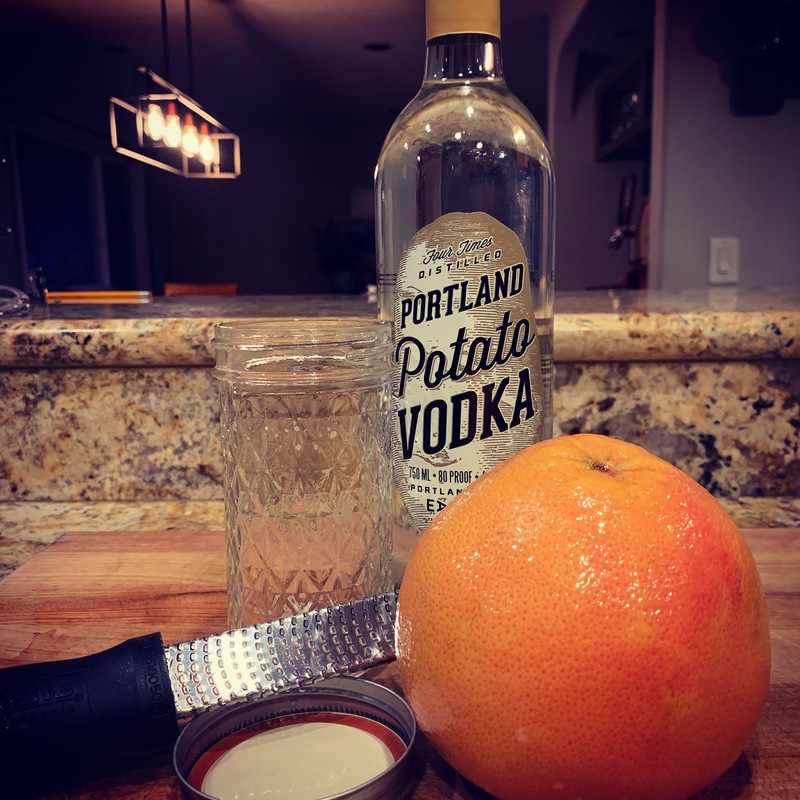 Use potato vodka if you're going to be even more strict than Zero Tolerance. If you are doing a full boil batch, use 7 gallons of filtered water and begin to raise to a boil. For a partial batch, boil as much as you can, allowing enough space for your extracts. There will also be potential for foaming from the boil. 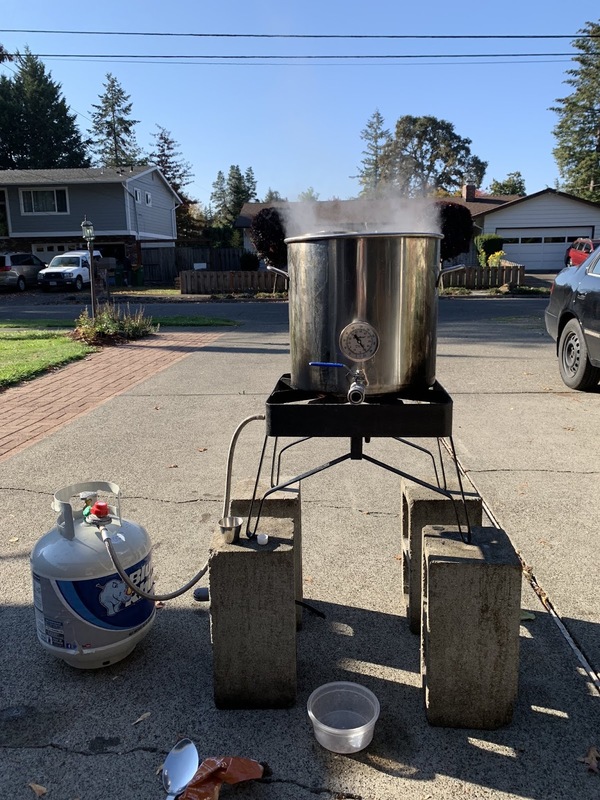 Try to get at least 3 gallons to a rolling boil. As the water is nearing boil, add the 6lb Sorghum, 3 lb Brown Rice Syrup, 1 lb D-45 Belgian Candi Syrup and .5 lb Maltodextrin and mix well. My 8yo daughter caught this pained photo of me adding the D-45. Note that I am deflecting the stream with a large stainless spoon to prevent scorching. Add the ingredients without having them hit the bottom of the kettle. Scorched extract will affect the flavor of your beer and could make a real mess of your kettle. Add the ingredients just before boiling, to avoid a massive boilover of hot, sticky, potentially flammable sugar water. As the wort comes to a boil, begin a timer. 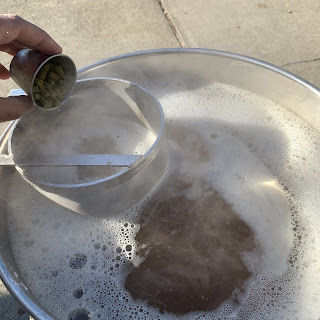 Adding the Bittering hops into my kettle. You will be boiling for :60 minutes. Add .75 oz Bravo hops for full hour. These will be the "Bittering hops"
Add yeast nutrient and whirlfloc at this time. Add 1 oz Experimental Grapefruit hops when 5 minutes remain. These are the "Flavor Hops"
Boil for the final 5 minutes. Add 2 oz Experimental Grapefruit Hops and allow to steep, with the flame off for 15-20 minutes before cooling. These are the "Aroma Hops." Adding them without boiling them will preserve some of the volatile hop aroma oils and prevent over-bittering the beer. We are trying to reach a target temperature of 65-70f for pitching our yeast. How you get there is up to you. There are immersion chillers which use cool water running through a metal tube to act as a heat exchanger to quickly chill the wort. There are plate chillers and counterflow chillers which operate in much the same manner, without immersing the chiller in the wort. If you have no chiller, you can also choose to place your kettle in a water bath with ice. This can take a long time and the wort will need to be covered with a lid to prevent contamination. If you are doing a partial boil, one great trick is to pre-boil and freeze 2 gallons of water the night before brewing and then add them to the finished wort as your top-up water. This lowers the temperature quickly and dilutes to your desired volume. Once the wort is at a temperature in the yeast pitching range, you may transfer your wort to a clean and sanitized fermenter. I use glass carboys. Others use food grade plastic buckets. Ported kettles come in handy when transferring. 6+ gallons of wort is heavy. It is hard to lift and pour that much wort into a funnel, strainer or even large bucket without making some mess. Oxygen is important to yeast health. We boiled a lot of oxygen out of the wort, if not all of it. You may splash the wort when transferring to the fermenter and shake the fermenter to introduce oxygen (:15-:30 minutes). 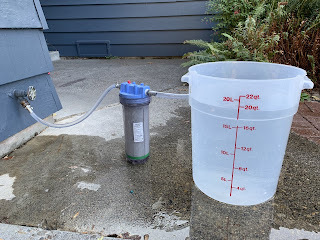 A more effective way is to inject oxygen into the wort with an oxygen canister or aquarium pump and diffuser stone. Again, that means more expensive equipment. Shaking will work in a pinch. 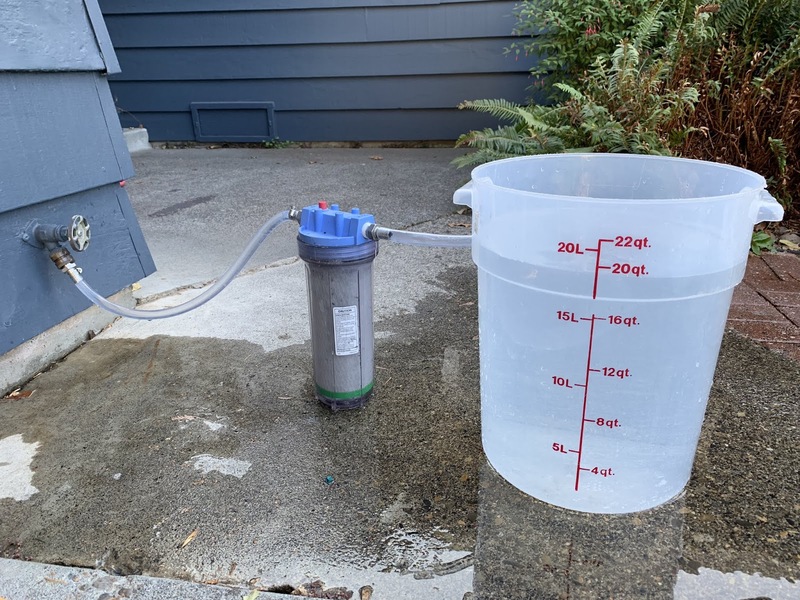 If you have a hydrometer (and you should, it is a great tool), you may take a starting gravity reading. This will tell you the amount of sugar in your wort. 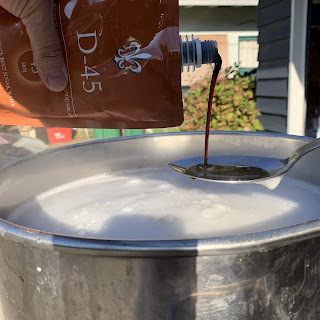 If you know both the starting specific gravity (pre-fermentation) and the finishing specific gravity (post fermentation) you can use an ABV calculator to reasonably estimate your alcohol by volume. Use a sample taker (you can and should have a dedicated sample taker) or use a clean and sanitized meat baster to pull a sample. 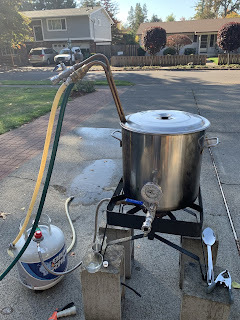 Once you are at the appropriate temperature (65-70f), in a sanitized fermenter, with an oxygenated wort, it is time to inoculate this wort with some saccharomyces and turn it into beer. It is possible to just sprinkle dry yeast onto the wort and have it ferment. But it is recommended you boil water in the amount of 10x the weight of the yeast and cool to <80f then sprinkle the yeast into the boiled and cooled water to rehydrate the yeast. Do not boil the yeast. If you do pitch dry yeast without hydration, pitch two packages of yeast. There is a lot of attrition of the yeast cells when you take this approach. Once the yeast is pitched, put your airlock in place and seal the sanitized fermenter. Put it in a cool space and Do not open the fermenter for at least one week. After 12-24 hours, you should begin to see signs of active fermentation. If you have an airtight seal, that will probably be something like airlock bubbling. If you are using a clear fermenter, you may see yeast churning hypnotically like a zymurgical lava lamp. Once a week has passed, and fermentation has begun to slow, it is probably reasonable to add your dry hops. If you have a hydrometer, you should pull a sample and check to see how close you are to your projected final gravity. If you are within 2-3 points of your recipe's calculated finishing gravity, go ahead and add the dry hops now. The zest makes this beer best. I love how it really turns up the hop flavor. 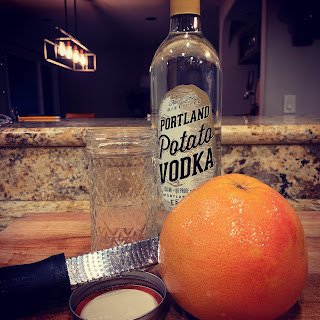 I typically zest one or 2 grapefruits with a microplane into a mason jar and cover with some neutral alcohol like vodka then let it rest for 2-3 days. This helps extract the zest flavor and also does a great job killing off wild yeast and or bacteria that could act as spoilage organisms. You may add the grapefruit zest at any point between the dry hopping and packaging. I really don't worry myself about distilled spirits from gluten grains, but when I know I am serving to Zero Tolerance, I choose to use potato vodka because people there may have wheat allergies or something more serious than Celiac and I want to be able to tell them there is no barley, wheat or rye in the beer. 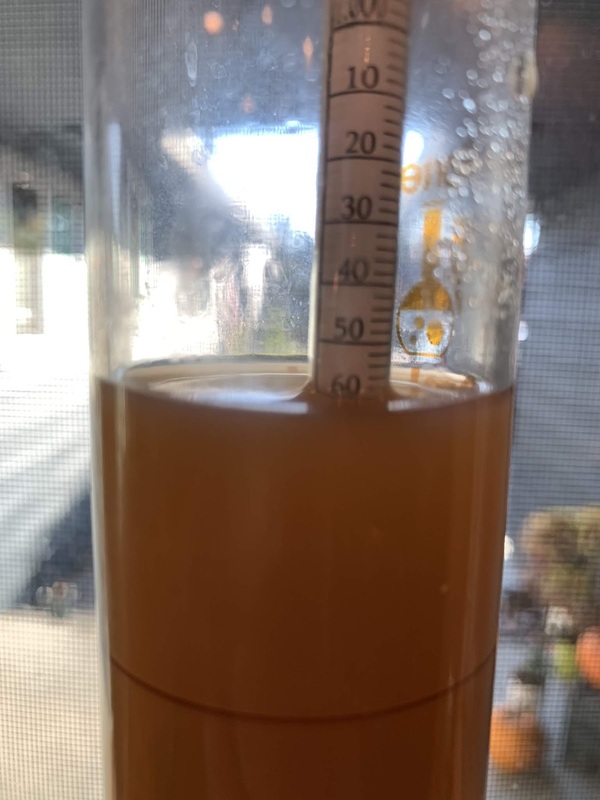 If you believe the beer is finished fermenting, take hydrometer samples 2 days apart and check to see if there is no longer any downward movement on the scale. Once it's done and has been setting on the dry hops for about 5 days, it is time to package. There are really two routes to go here: Kegging or bottle conditioning. Established brewers love the ease of kegging. There is only one vessel to clean and sanitize and carbonation can either be forced CO2 or done naturally using sugar. But the initial investment in equipment of kegging is steep. Bottle conditioning is usually the most accessible option for the new brewer. And it's popular with some commercial craft brewers. Sierra Nevada still bottle conditions their Pale Ale and it's one of the best beers in history. Point is: Bottle conditioning is not just for newbies. When bottle conditioning, you will need enough bottles to package your entire batch. Usually about 48 of the 12 oz bottles or 24 of the 22 oz bottles. In bottle carbonating, a small amount of (priming) sugar is added into the finished beer (Priming calculator), then the beer is packaged into clean, sanitized bottles and capped. The yeast consumes the priming sugar, but because the bottles are capped, there is no place for the CO2 produced in the bottle fermentation to go but into solution. This produces a nice, fine carbonation and a small layer of yeast at the base of the bottle. The process usually takes about 2 weeks from packaging at room temperature. Beer tastes best chilled to the recommended temperature for the style. The longer it sits cold, typically the more clear it becomes. 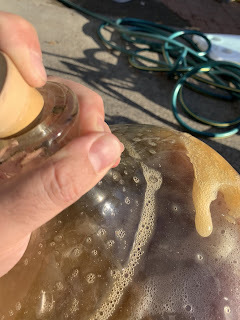 If you are pouring from bottle conditioned bottles, take your time and pour slowly to decant clean beer from the yeast layer at the bottom of the bottle. You made your first Gluten Free Beer. Enjoy it. Brewing is hard, brewing gluten free, doubly so. My first homebrewing experience in 2010 was terrible. I did everything wrong. It was terrible and it made me resolve to make better beer.